Klaas is a Dutch TV presenter who can do anything. 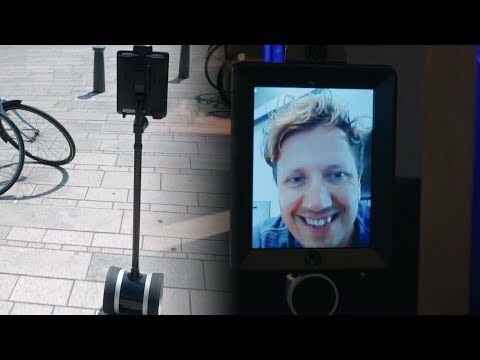 Klaas uses a telepresence robot, which can be controlled remotely. Through a video connection you can talk to other people. To try this invention Klaas surprises his lunch-guest to join as a robot.